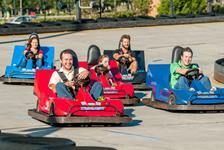 Myrtle Beach offers plenty of fun attractions besides the beautiful beaches. In fact, you might have a hard time tearing yourself away from all the fun zip lines, go-karts, and amusement parks in town. 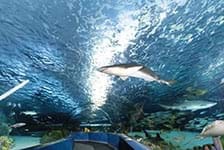 Ripley’s Aquarium is the biggest attraction in Myrtle Beach and draws visitors from miles away to explore the world-class aquarium. There are plenty of other Ripley’s attractions to choose from, as well. Another favorite is the Family Kingdom Amusement Park & Water Park. Have fun exploring all the great attractions in Myrtle Beach.